IT effectiveness – the engine of digital transformation – is ailing. Why? Digital transformation is all about speed, yet executives of traditional enterprises are increasingly saying that speed is their biggest challenge. New IT operating models can help, and mergers and acquisitions (M&A) make for the right time to deploy them. IT organizations at traditional enterprises are overwhelmed by keeping the light on, fending off a growing technical debt, and keeping up with a flood of new requests, all under an intense cost pressure. Speed is a competing priority for them, and since the conventional IT operating models aren’t designed to govern speed, it is the first one to give in. The conventional IT practices, e.g., investment planning cycle, project execution, functional specialization, labor arbitrage and benchmarking were optimized for the industrial age, and they are underperforming during digital transformation: over one-fifth of technology efforts are potentially wasted on outputs that are never used, up to 40 percent of expected business outcomes are at risk to delivery delays, and outdated management practices are taxing the IT workforce productivity by double digits. IT wastes are the problem – i.e., getting the wrong things done that are unnecessary, redundant, low value, delayed, obsolete, cancelled, rejected or defective. Essentially, a technology need is first decomposed into smaller, self-contained workpieces, such as tasks, services, components or user stories, and once all the necessary workpieces are done, they are assembled into a final output. Due to the complexity of this process, IT wastes occur, when a finished workpiece does not fit into what is expected and when needed. IT wastes are contained when execution is plan-driven, pace is moderate, governance is centralized, teams are dedicated to projects, re-use is limited, and architectures are monolithic. In a digital world, where execution is agile, pace is fast, product-team dependencies are abundant, resources are shared, and architectures are componentized, IT wastes unexpectedly mushroom. Worse, they remain hidden below the conventional management radars until damages become highly visible in terms of delays, defects or outages. The conventional IT practices are a major drag on digital transformation programs at traditional enterprises. 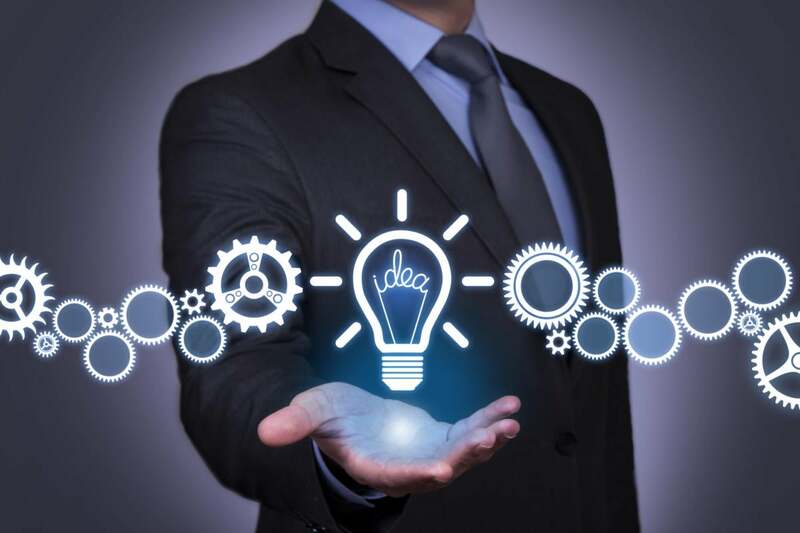 Fortunately, new technology management techniques, e.g., business outcome management, product organization, lean IT and continuous improvement, can predict and prevent IT wastes in a measurable and verifiable way, and thereby free up enough capacity to accelerate digital transformation as much as 45 percent. No conventional IT practice can promise this much of speed gain. “Companies are using M&A not just to grow but to transform themselves, by gaining new capabilities (GM’s acquisition of Cruise Automation), breaking through new markets (Walmart’s acquisition of Jet.com) or reshaping the customer experience (potential CVS and Aetna merger)” say Francois Mallette and John Goddard in the May 2018 issue of Harvard Business Review. Many executives view M&A integration as an opportunity to rethink target operating models. Ernst & Young says that 42 percent of banks are cherry-picking from the operating models of both acquirer and target to create a new best-of-breed operating model and transform the business. The expectations of IT during M&A have long been limited to achieving cost synergies by reducing redundancies and supporting the post-transaction business objectives. A sustainable reduction in IT wastes can visibly speed up digital transformation programs with a far better contribution to the overall M&A value case than that of the traditional cost synergies. As nicely illustrated in this article, M&A integrations at top speed by Ernst & Young, a typical M&A transaction generates value from three distinct sources of synergies such that cost synergies, revenue synergies and balance sheet synergies. By transforming IT and accelerating the digital transformation programs, traditional enterprises can enjoy a new source of value through M&A, namely the speed synergy. Speed synergies come to fruition in two ways. First, they enable companies to better monetize digital business opportunities through marketing agility, customer responsiveness and first mover advantage. Second, they reduce the cost of failure per product iteration and hence improve innovation. it is now possible to articulate a post-transaction speed improvement in digital transformation programs and incorporate the associated speed synergies in the valuation of an M&A transaction. This can be achieved by utilizing new IT assessment methodologies that incorporate emerging concepts such as cost of delay, cycle-time or dormant output, and by leveraging advanced performance simulation techniques that can quantify the potential value of IT wastes in the pre-M&A IT operating environment of the acquirer and the target. Furthermore, the consequent gains in IT workforce productivity can generate better career opportunities for employees, accelerate innovation, protect technology know-how, and nurture a stronger domestic IT workforce. Hence, a post-M&A integration plan that includes IT transformation to adopt new technology management techniques will broaden the narrative for M&A value creation and engage a wider stakeholder group – including investors, regulators, employees and local communities. Hakan Altintepe is a technology strategy and digital transformation adviser to senior executives at leading financial services companies. For 20 years, he has focused on maximizing the business value of technology. His current thought-leadership focus includes digital enterprises, agile at scale, product management culture, IT productivity and change enablement.